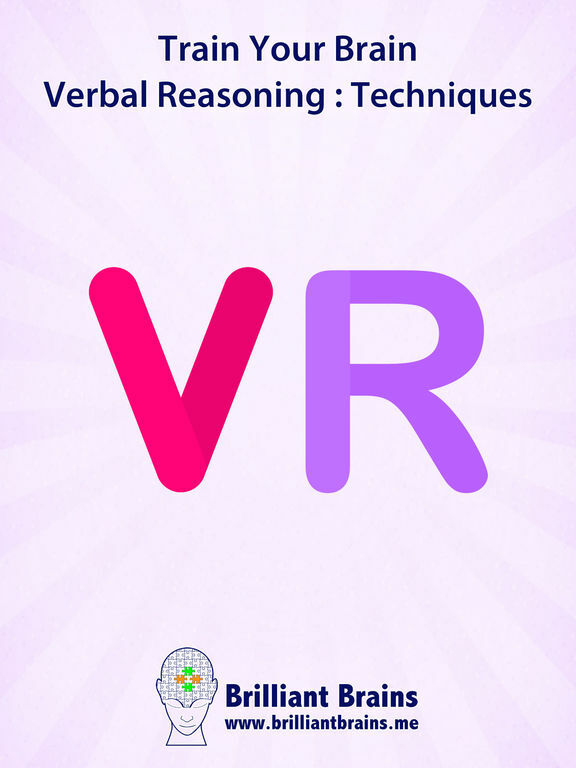 This App contains the Methods & Techniques required to answer 21 Verbal Reasoning questions. 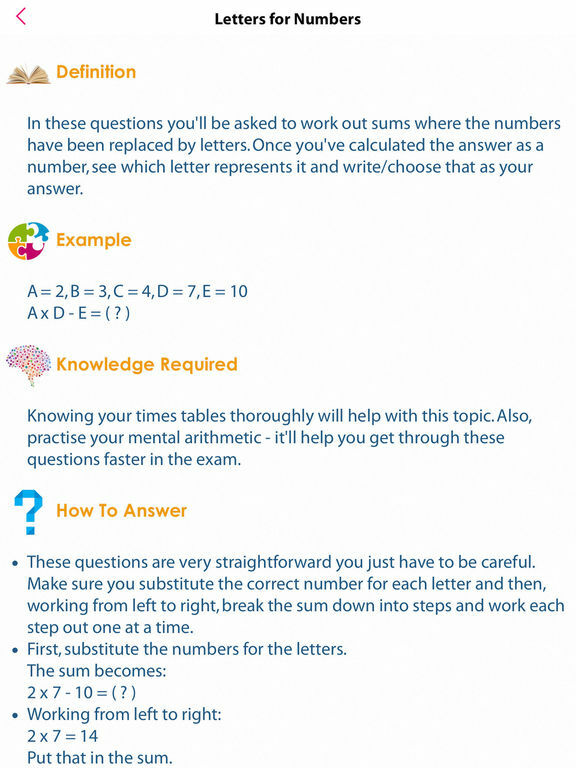 With over 420 individual questions and a bonus mock test section; Within each question type, we cover all of the variances, all of the difficulty levels, and with a generic approach we ensure that the course is easy to follow for both facilitator and student. 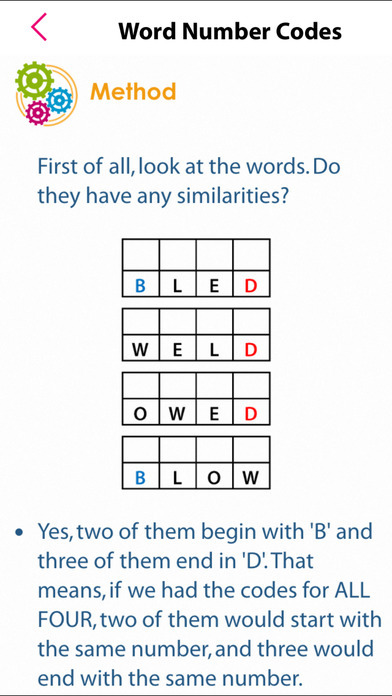 On the completion of each test, the user is given a summary of questions answered correctly, incorrectly and skipped along with the time taken on each question. Every question can be reviewed, and all questions have an explanation of the answer. An interactive pie chart displays current progress for each topic. 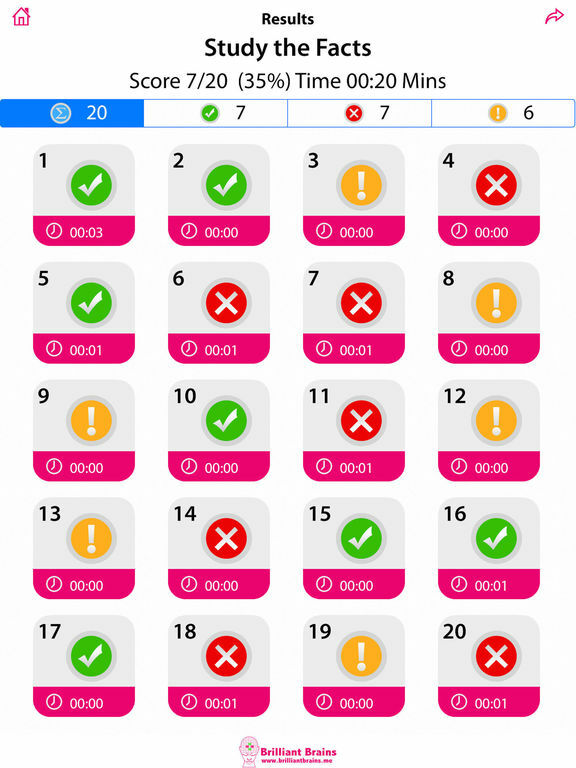 The user can touch the different color slices of the pie and choose to answer only incorrectly answered questions, unattempted or correctly answered questions. This feature is very useful to achieve 100% score in each topic. • Covers all 21 commonly found types of questions. • Explanation for each question. 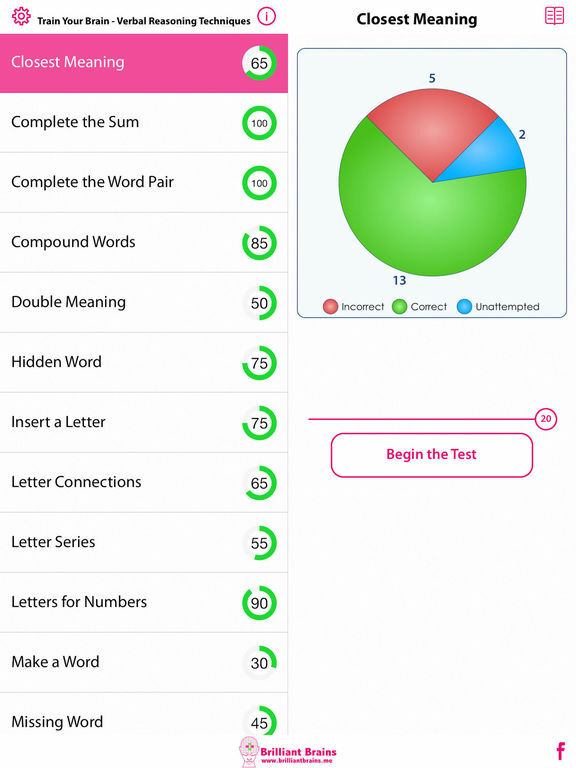 • Progress monitor helps to track progress, topic wise and mock test wise. Sing N' Match : Head To Toes!